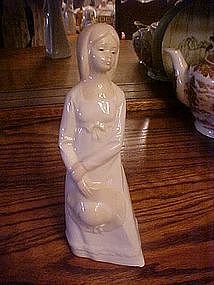 Another nicely glazed porcelain figurine of a girl holding her hat. Measures 8 3/4" tall and is in perfect condition. Has the look of Lladro porcelain.